A longstanding relationship built upon trust and shared values. 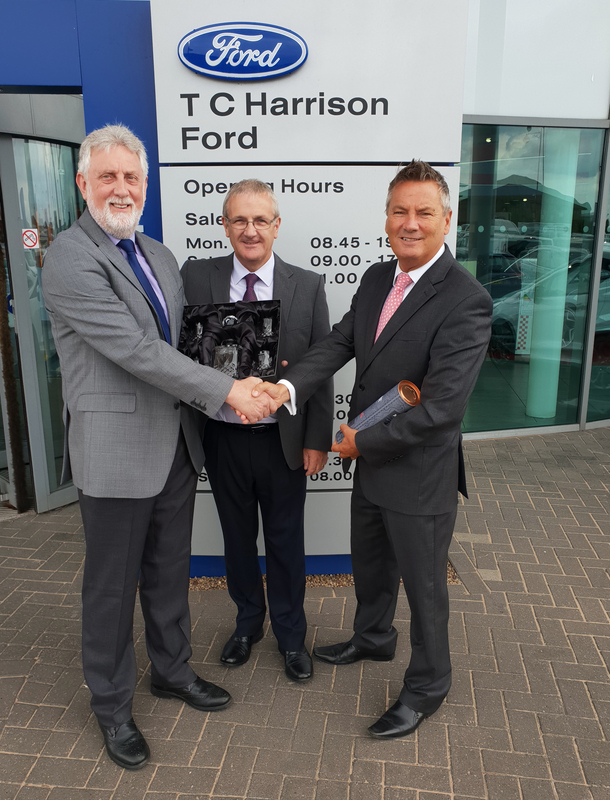 This month marked our 20th year in partnership with the TC Harrison Group. Way back in 1998, we started our journey with one of the most trusted names in the motor trade. TC Harrisons today thrives across 10 sites throughout Derbyshire and the midlands. Our Client Support Director Steve Robson (pictured), along with Client Support Manager Paul Bromage we were delighted to present Chris Cornell and Neil Baker with 20-year old whiskey and decanter set, as our way of marking the occasion and saying thank you for being a customer of Warranty Administration Services Ltd.
For advice on warranties and to discover how Crystal Clear Warranty can benefit your business and your customers - call 01522 515600 today.